Free Standing. Poplar, Oak, Maple. Double Bars. X-Brace Stable. Two independently height-adjustable bars, one per side or both on one side. Available in 4', 6' or 8' standard lengths, as well as custom sizes. Frame is made of chrome-plated steel. Frame height: 41". Each bar height adjustable from 30" to 44". 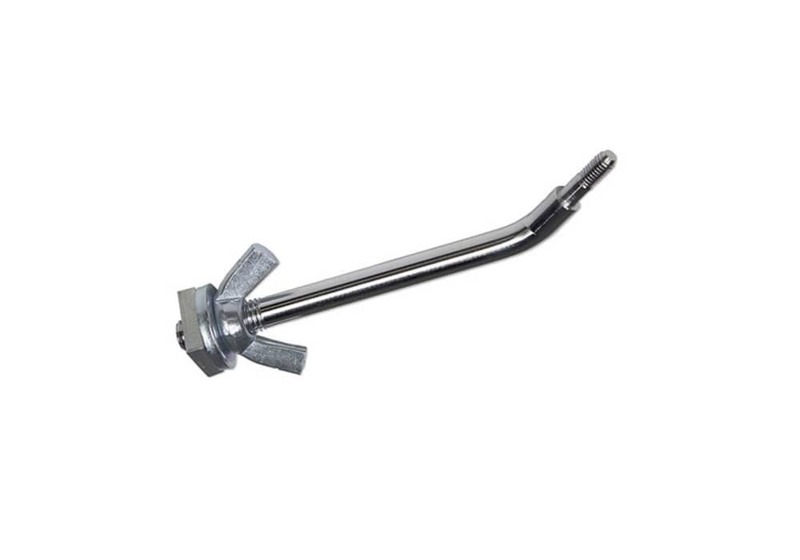 Cross stabilizer bars for increased sturdiness (reduces wobble). Made in the USA. PRICES INCLUDE GROUND SHIPPING within the contiguous USA! 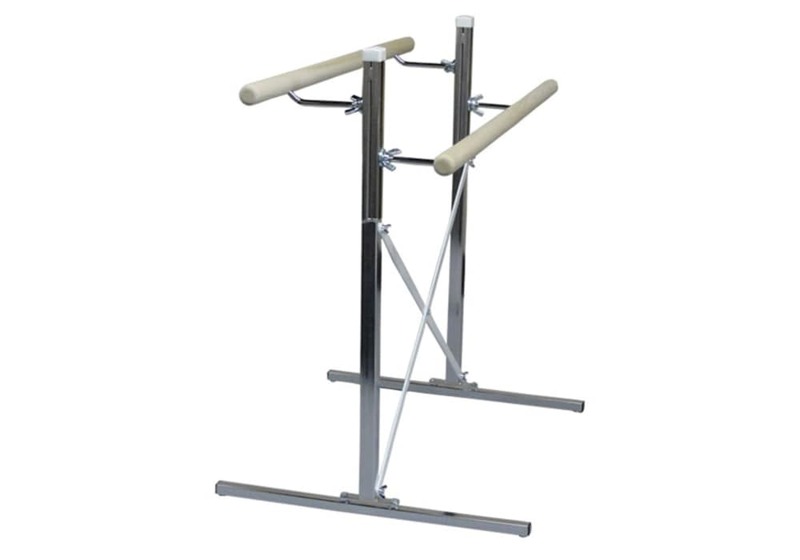 The Portable Free Standing Ballet Bar System has two bars. You can install both bars at different heights on one side, or you can install each bar on opposite sides. 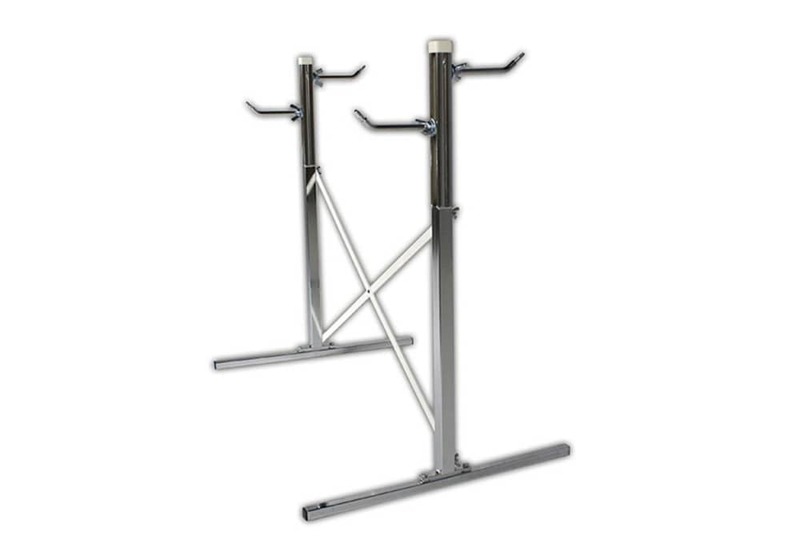 The adjustable nature of the mounting channel allows for completely independent height adjustment so dancers can set the bar to their preferred height. 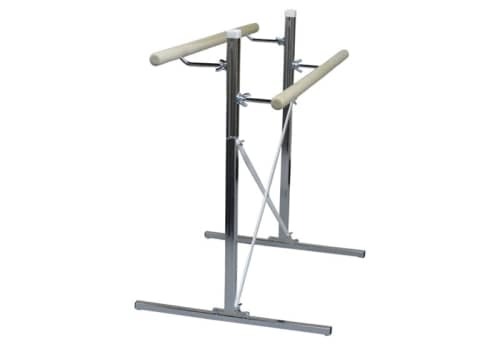 This is a professional quality, strong, sturdy, durable and easily adjustable ballet bar, that is also portable. It assembles and disassembles without tools very quickly and can be transported in even a small car. 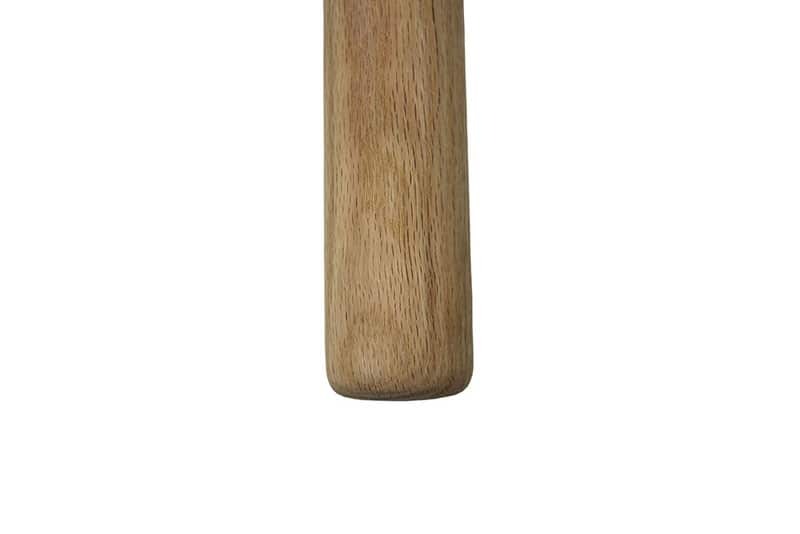 Ideal as a kids ballet bar or the more experienced, and can be used to practice ballet at home or in a dance studio. Two bars that can be installed on one side or opposing sides. Both are height adjustable. Available in 3 standard bar lengths (4', 6' or 8') or custom lengths. Each bar height adjustable from 30" to 44"
We also offer 10', 14', 16' and custom bar lengths.